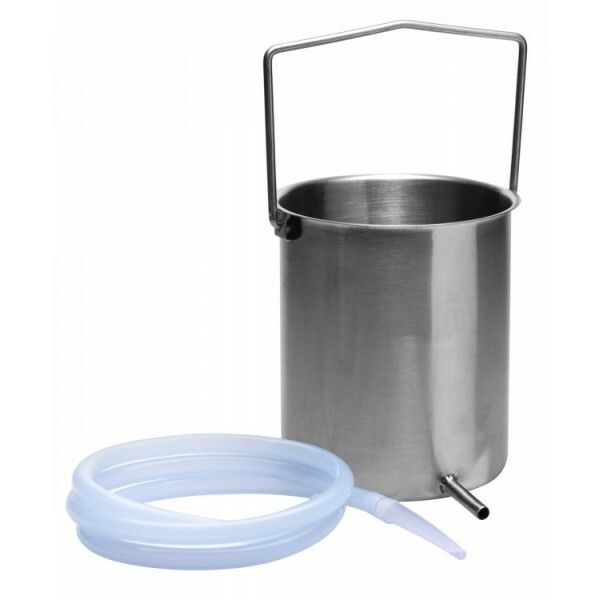 Everything I expected very solid pail easy to clean and use. We are very pleased with this purchase; however, the clamp barely stays shut and often springs open on it's own accord. I would give it a higher rating except for the fact that the tubing should be at least 25%-50% longer. It's too short. Other issue is the tapered silicone nozzle. Easy to insert but slips out easily during water flow. Ok value for the price. Sturdy can, good tube, works great. I use it to give enemas to foals at my breeding facilities if they are plugged up after birth. 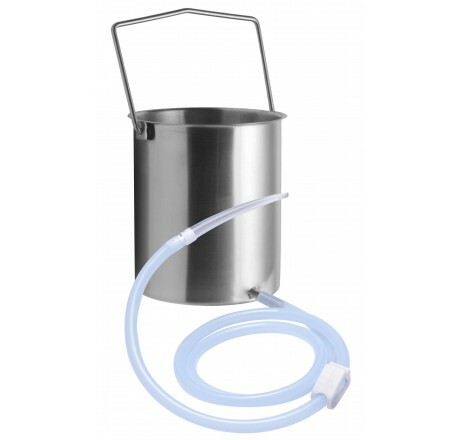 The handle also works great as you can hang it so you can handle the foal with one hand and give the enema with the other.